Three main factors affect the quality and composition of meat in farm animals. Production conditions determine the composition of the meat, while marketing and postmortem periods have a major bearing on the visual appearance and ultimate eating experience for the consumer. It is often difficult to compare research results from different countries since meat quality is assessed by a wide variety of procedures. 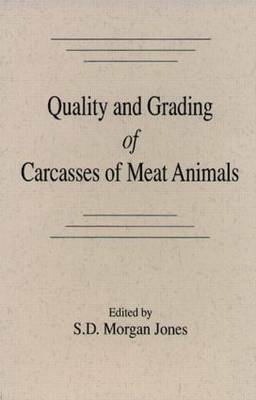 Quality and Grading of Carcasses of Meat Animals reviews the development of commercial grading or classification schemes on a world-wide basis, and it provides a broad outline of the most common subjective and objective procedures for the assessment of meat quality.